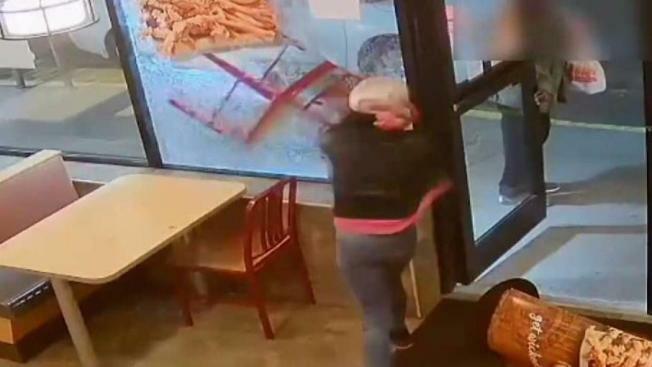 Police are looking for a woman captured on surveillance video smashing the front window of a Popeyes restaurant with a chair, apparently angry because her $4 Wicked Good Deal didn't come with a soft drink. It happened at a Popeyes on Forest Avenue in Staten Island Sunday, according to the NYPD. Security video shows the woman flipping off employees, then picking up a sign and throwing it. Finally, she uses a chair to smash a window. An employee who didn't want to be identified told News 4 the customer was drunk, and angry because the $4 Wicked Good Deal didn't come with a soda. Employees tried to explain that the deal includes an order of Wicked Chicken strips plus a side, a buttermilk biscuit and dipping sauce, but does not include a soft drink. They told her she was confused and may have been thinking of Wendy's $4 meal deal, but she was so irate she couldn't be reasoned with, the employee said. "Hopefully they find her, I don't want her in this store," the employee said. The NYPD is asking for help identifying the woman, last seen wearing a pink bandana, black jacket and jeans. 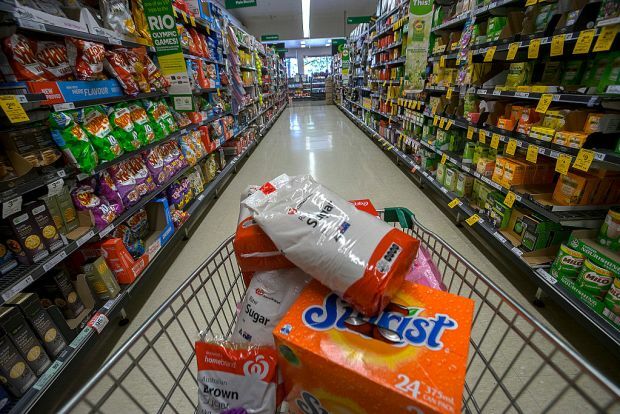 Police think she's an adult between 18 and 25, though the tantrum she threw over a soda suggests otherwise.